For those that are indie glitter polish shy, Contrary Polish is an indie brand alternative, as almost all of her polishes are shimmer cremes. And for those like me who do love indie glitter polish, Contrary Polish is still most definitely a brand worth exploring. 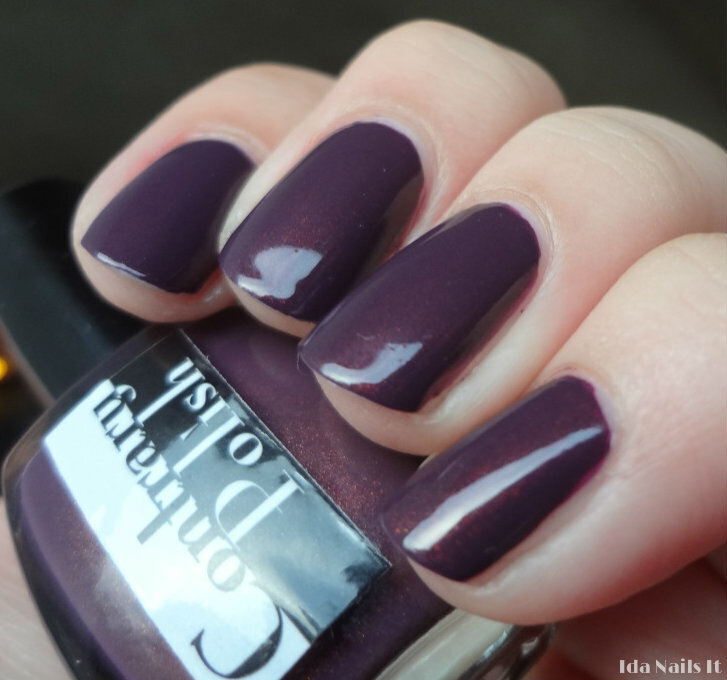 Desert Fruit is a rich red toned plum purple with a red shimmer. The photos show two coats of application. Contrary Polish Desert Fruit can be found at Llarowe and updates can be found at Contrary Polish's blog. OMG I totally lust this shade ! You have such lovely nails !